Does using the same hashtag on each of my posts hurt the account in terms of potential reach/engagement at all? Anyone notice a difference changing it up? 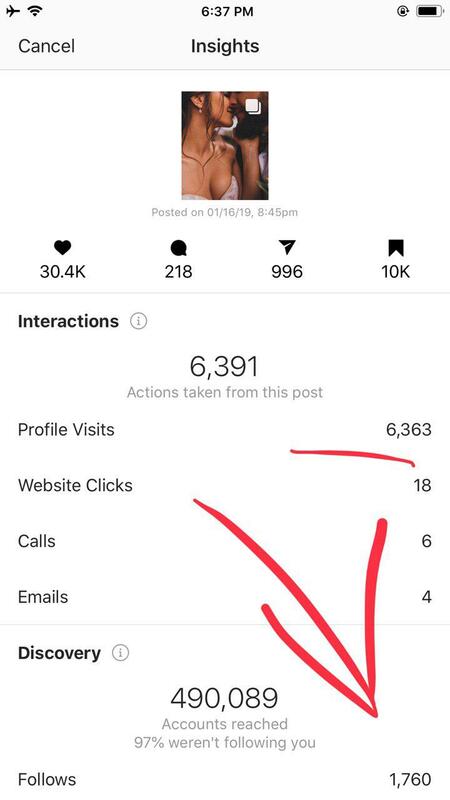 Kleneice and I have suspected this for months now, and when people realized they were being hit with the Instagram “shadow ban” and were discussing it on Facebook, our suspicions were confirmed. 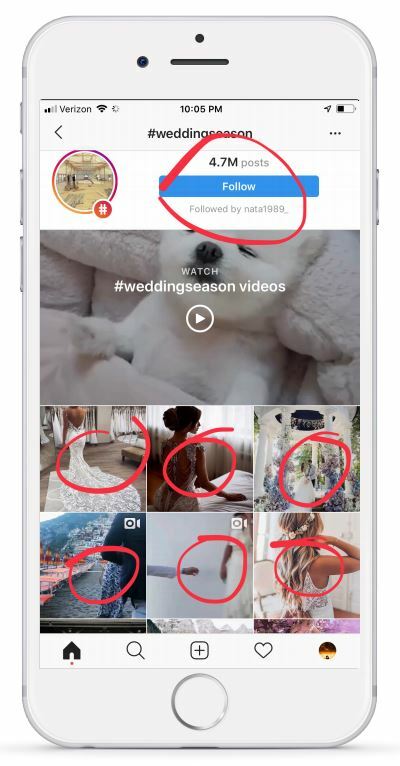 Instagram is not going to allow you to use the exact same set of hashtags over and over again on each post. It is SO important to have a library of 40-60 hashtags that you can rotate on each post. When you use the exact same set of hashtags on each post, you risk having your account being treated as spam, thus no longer showing up in the hashtag search results. Hashtags should always be contextual. If you have a super niche account and only post, say, cute little daschounds s, then it probably won’t hurt. IG/FB ran millions of posts through their Ai for a few reasons, one of them being relevancy to the posts described. So while I don’t care to read the article above, I would say it wouldn’t hurt to mix them up as long as they are specific and relevant to content. For my main accounts I use the same hashtags and it’s fine. I still get a significant amount of reach. Just make sure they’re relevant. Only if your doing on some niche. Ex If you’ve hot babes account, and use same hashtag then it will lead you to shadow ban. But there are some accounts who use same tag for their branding and also using same hashtag when they post health/diet/fitness related post, and they are fine. So It’s depend on account+hashtag. I’m going to throw this in this thread since it’s new and close to being relevant. I’ve read that within the code of the website you can see what the AI is labeling in the picture. You can verify this by inspecting the image and searching for Image may contain or just search for contains. Now this is the part that I don’t know if it works or not but what I’ve read before is if you match your hashtags with these and it will boost the photo as well. The problem or maybe a blessing is that this description is so broad that those hashtags are huge. I just went and looked at an outdoor waterfall and the “Image may contain” has; outdoor, water and nature. This was a drone shot of people walking in water outside in Havasupai Falls. Something that still needs tested to be verified but interesting theory and might help you out with hashtag ideas. It’s fairly easy to see what their Ai might see, far more difficult to match relevant hashtags with the photo. Sure, you can assume, #havasupi. #waterfall etc, but on mobile you have no idea if it’s a good hashtag or not. Doing your research might change in 3 months or so. Maybe the algo changed or the hashtag banned. my theory from what I know about machine learning is that a large part of what IG is doing with hashtags is simply comparing your image to a model built from other images using the same hashtag. by doing that they can ascribe a confidence level as to whether that image fits the hashtag or not (obviously there will be more diversity for some tags than others, or some that have 2 or 3 “major” meanings.) no labels really necessary in this scenario. I had one of my car niche accounts get shadow banned for using the same hashtags around September of last year. All safe and relevant hashtags with only about six per post. Once we stopped using them our engagement shot back up and haven’t used them since. I was also running some pretty aggressive settings on MP and maybe that played a part to flagging the account as spammy. I’m using the same hashtags over and over again. I grew my page @coloradobridesmag organically using hashtags in 4 months 40k followers. I’d highly suggest sticking with the same hashtags so you can dominate top9 and outrank competitors. 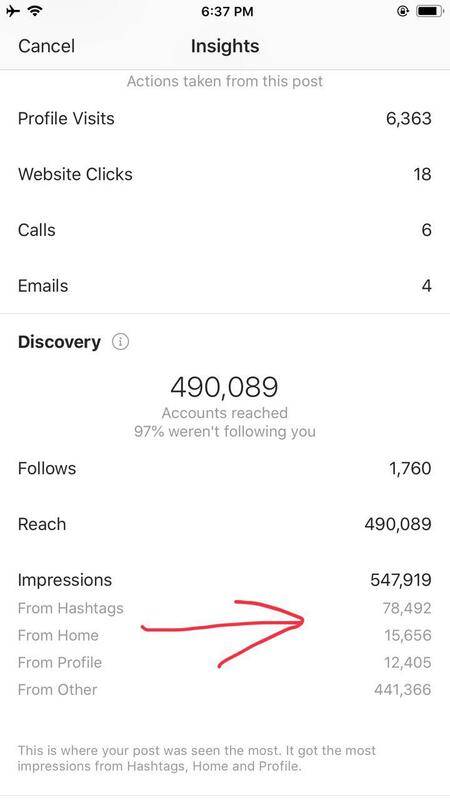 This way you have 5x-6x more chances on getting more traffic because on average you have ranked on 5-6 posts under top posts of hashtags. 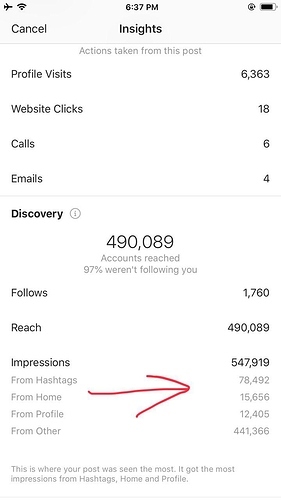 This is what works for me, however, I see a lot of competing pages using sets of different hashtags and still grow their pages a lot. Find somehting what works for your competitors and model their strategy. There are 20 different ways to grow. Do a a good research before using hashtags, some of them might be banned hashtags which might decrease engagement on your posts or result in shadowban. Pelase keep in mind that everything I wrote is my personal oppinion. 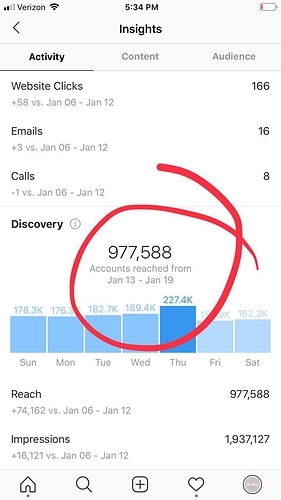 I use same one set of hashtags for the past 2 months and I’m growing daily 200-300 followers daily. All impressions are mostly coming from hashtags which proves your theory is false. You can check my Ig @coloradobridesmag yourself. youre not f/uf on your brides account? just using hashtags and liking to grow to 40k? holy batman! you are one of the few that did no harm. you got lucky and the shadow ban has not hit you yet. I seen with my own accounts and others – dramatic increase in ER after they changed them daily. eventually you will get bitten – like it or not. I’ve done market research and I analyzed many 500k+ pages in my niche. I’m doing what 80% of authority pages are doing. I model their success. I would not call this a luck at all and I do not agree that I will get ever hit by shadowban. As time goes by I have only increased impressions via hashtags and explore started showing up as well. No F/Unfollow I don’t suggest going after this strategy at all.